Canada's 150th anniversary is coming up. 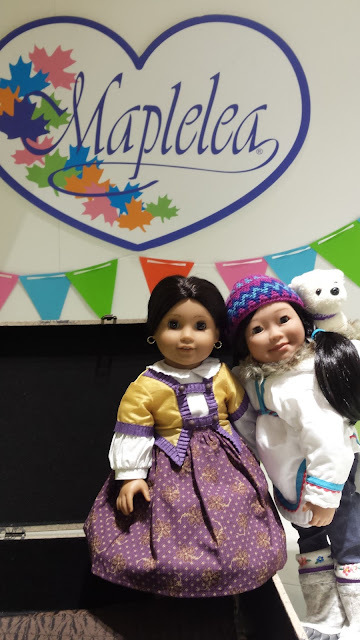 What better way to commemorate the occasion than showing off a doll by a proudly Canadian company. I was actually fortunate enough to be able to work briefly for Maplelea earlier this year. As a doll collector, there's nothing more exhilarating than to be surrounded by dolls at work! I had such a blast and can now check off having been able to work for a toy company on my bucket list. My 2017 begun on a fairly good note, though as they say, the road is long and winding, so who knows what the future holds. I'm absolutely in love with the above photo of Tilly as she is posed to set on an adventure. I've been going through such a roller coaster life journey of my own. One foot in front of the other, I've had to keep reminding myself. We all search for those blue skies just beyond the winding road and I love how I've captured that in the photo. 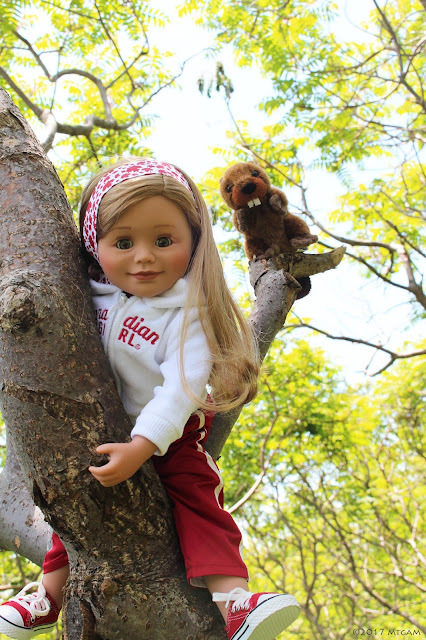 Of course, what is an adventure without a few quirky friends to keep you sane along the way? 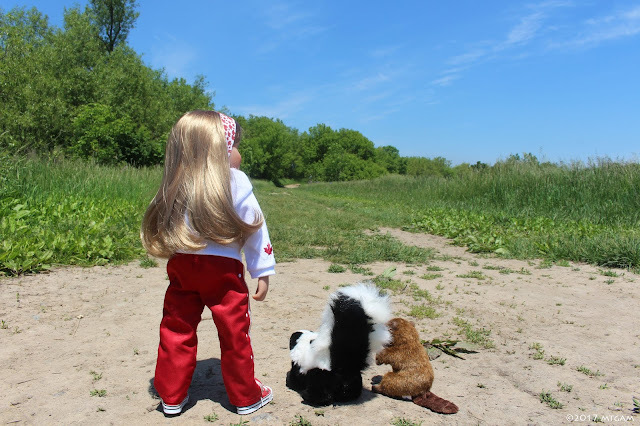 To those who aren't familiar with Maplelea dolls, they are 18 inches like AG dolls. 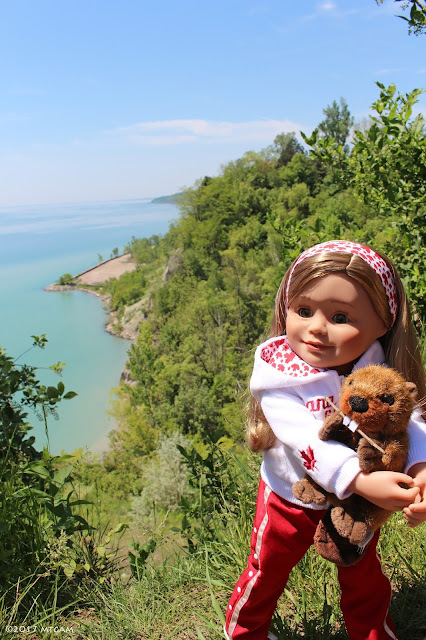 But what makes them truly Canadian is how the character dolls represent different provinces of Canada, their storylines reflecting lives of modern Canadian girls from their cities of origin. Piękne lalki w pięknej scenerii! Zdjęcia zachwycające!